Hospital keyboards are frequently employed by multiple users. Hospital-acquired infections are a major concern in today's healthcare environments. Research has shown that everyday keyboards harbour enormous quantities of filth and bacteria - something completely unacceptable for a medical setting, making the use of specially designed medical keyboards imperative. 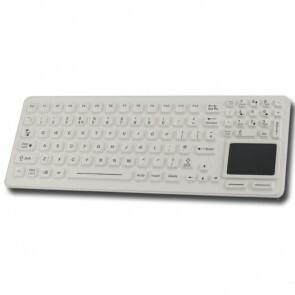 Medical grade keyboards are manufactured as completely sealed units that can be easily cleaned and disinfected on regular basis. Liquid proof to the point of being submersible, the outer casings are made from industrial silicone rubber or ABS polycarbonate and can withstand contact with hospital and dental grade disinfectants. Waterproof mice and tracker balls are also available to maintain hygiene integrity. Cross infection by antibiotic-resistant bacteria is one of the major challenges facing health service providers. It's not something that is going to go away and can only be tackled by extreme vigilance on the part of every person who works in a healthcare provision environment. 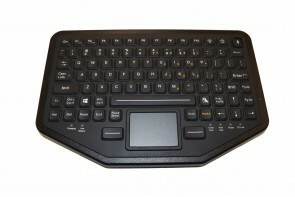 Medical grade keyboards are one weapon in the current arsenal and make a real contribution to maintaining hygiene integrity. 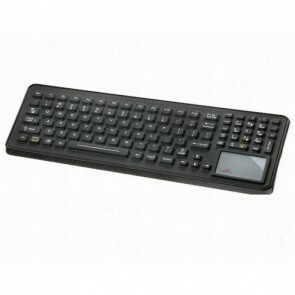 iKeys SK-97-TP medical keyboard provides users with all the functionality of a full-size keyboard and mouse in a slim, compact package. It is designed for infection control in today’s healthcare environment as well as for industrial applications. 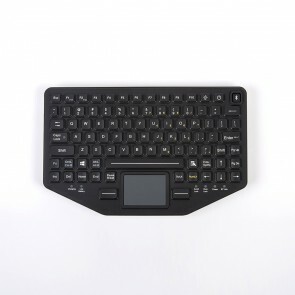 iKey's SlimKeySLK-102-TP keyboard provides full-size versatility in a rugged, compact design, with the added convenience of an integrated touchpad. 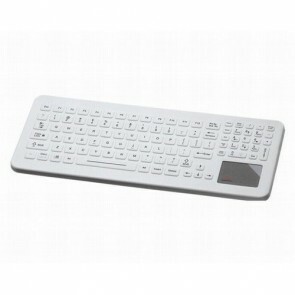 It features red LED backlit keys for use in areas with minimal lighting.